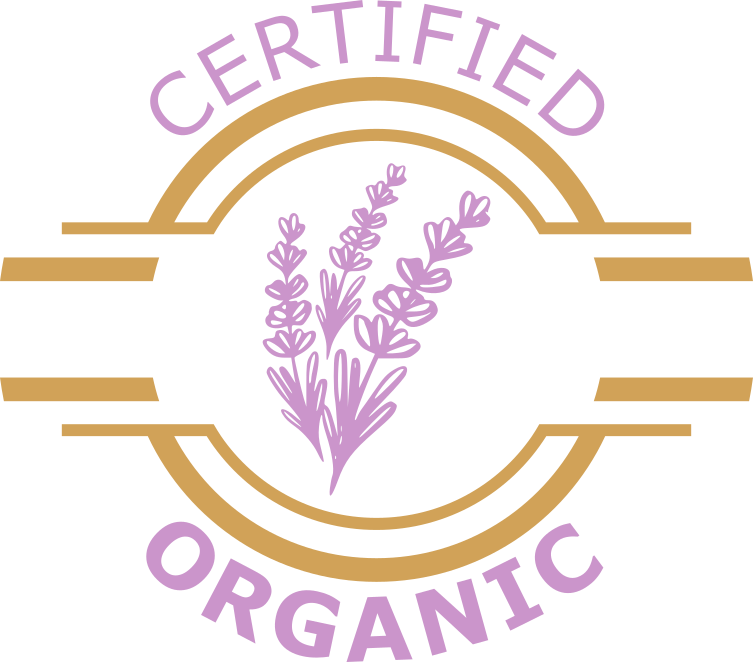 Lavender Ranch™ Certified Organic Hand Sanitizer uses ingredients grown, harvested, and distilled at our Lavender Ranch in Biggs, California. Lavender Ranch™ Certified Organic Hand Sanitizer moisturizes and kills 99.9% of common harmful germs and bacteria while being safe for children. 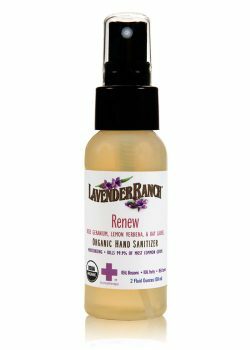 Paraben & petrochemical Free, our Lavender Ranch™ hand sanitzier leaves no residue. Available in five aromas, Invigorate, Refresh, Renew, Soothe and Lavender. Perfect for hands, counter tops, door knobs, shopping carts, children’s toys, at the gym, work spaces, traveling, and anything else that needs to be sanitized. Gentle on the skin and santizes within 30 seconds. Extremely versatile formula makes this a perfect spray when you’re at home or on the go! Speaking of go, our sanitizers are convenient for travel. TSA approved size, which means you can carry it on when you fly. You can take our spray where ever you go. 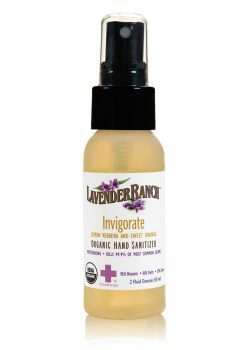 Invigorate Certified Organic Sanitizer – 2 oz. Lavender Certified Organic Sanitizer – 2 oz. Refresh Certified Organic Sanitizer – 2 oz. Renew Certified Organic Sanitizer – 2 oz. Soothe Certified Organic Sanitizer – 2 oz.